Rhinoplasty recovery can be pretty simple if you can keep from getting sick. Short of a major accident, the worst thing that can happen to you during rhinoplasty recovery is a cold or the flu. The nose, at this stage, is much too fragile to sneeze through. For the first two to three days, take your antibiotics and follow your surgeon’s advice on cold packs. Find something you can still eat, and drink a lot of fluids. The good news is that you will be spending a lot of time during your rhinoplasty recovery at home, possibly alone. This may get depressing, but it will minimize the risk of coming into contact with someone who has the flu. To avoid raising the blood pressure in your head, don’t do any heavy exercise, don’t lift anything heavier than a gallon of milk and try not to bend over. When you sleep, keep your head elevated to reduce swelling, using a neck pillow. Above all, keep your follow-up appointments with your surgeon, and wait until the swelling has gone down completely to make up your mind about the success or failure of the rhinoplasty. 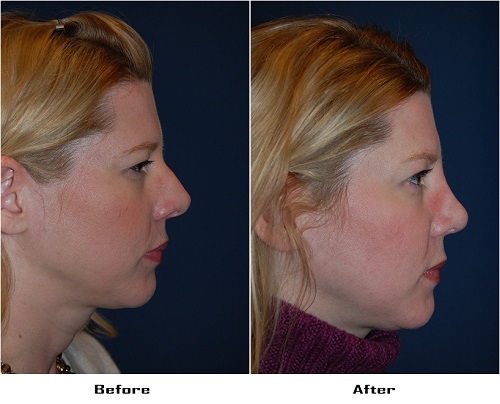 Dr. Sean Freeman is the best rhinoplasty surgeon in Charlotte and Concord, NC. He has been certified by two different surgery boards, the American Board of Otolaryngology (head and neck surgery) and the American Board of Facial Plastic and Reconstructive Surgery. He has devoted himself to facial plastic surgery, including nose jobs, since 1988. Many of his patients have already gotten nose jobs from other surgeons and come to him for revision rhinoplasty to get the results they really wanted. If you live in or near Charlotte, NC and want a nose job, improve your chances of success by making an appointment or scheduling an online consultation with the best rhinoplasty surgeon in the area today.